Mainstream awareness of encryption’s importance exploded in the wake of the Edward Snowden revelations. The far-reaching eavesdropping of governments spurred on a flurry of software activity, from encrypted messaging apps to encrypted phone calls. Although encrypted messages have been around for thousands of years, it’s never been more important than now. Digital encryption is now an integral part of modern life, protecting our personal information and keeping us safe online. Here are several ways to incorporate encryption into your daily life with very little effort. Those worried by Facebook’s involvement needn’t be. As messages are E2EE, no one else can read them, not even the company’s employees. That’s not to say that WhatsApp is free of interference from its parent company. However, if everyone you know is already using the app, that all your messages are kept away from prying eyes should be of some comfort. You’d probably feel quite uncomfortable if you found out that the world’s largest email provider (Gmail) was scanning all of your emails and using it to show you targeted advertising. Unfortunately, they are. The unencrypted private correspondence of Gmail’s 1.2 billion users is routinely scanned to show you more relevant ads. This behavior isn’t unusual for a free service, as your data is often the actual cost of any service that’s offered without a price. But there is an alternative that supports actual end-to-end encrypted email: ProtonMail. Of the few email providers that offer secure encryption, ProtonMail is arguably the best. The company, based in Switzerland, encrypts all messages to other ProtonMail users by default. Communications with other providers are scanned, but only in memory, so they are swiftly overwritten. While the service is free, a premium account gets you additional storage and other benefits. The company recently launched ProtonVPN too, a free VPN service worth using The Best Unlimited Free VPN Services (And Their Hidden Costs) The Best Unlimited Free VPN Services (And Their Hidden Costs) Looking for an unlimited free VPN? Here are your options for desktop and mobile, along with their hidden costs. Read More . 1991 is practically ancient history in the fast-moving world of technology. However, it was that year developer Phil Zimmerman first created the program which would go on to change digital security dramatically. His tool, Pretty Good Privacy PGP Me: Pretty Good Privacy Explained PGP Me: Pretty Good Privacy Explained Pretty Good Privacy is one method for encrypting messages between two people. Here's how it works and whether it stands up to scrutiny. Read More (PGP), is an encryption program which uses cryptography to secure files, drives, and emails. Since its release, it has gone on to become one of the most popular methods for encrypting emails. However, as its popularity grew, people became concerned that they were reliant on proprietary software, and wanted to develop their versions of PGP. As a result, in 1997, the Internet Engineering Task Force (IETF) accepted a proposal for the OpenPGP standard. This prompted many OpenPGP programs, including the popular GNU Privacy Guard (GPG). More recently, Purism, the manufacturer of security-focused laptops, launched the PureKey OpenPGP security token. The PureKey stores your encryption keys on a tamper-proof device, so they never have the opportunity to be compromised on your hard drive. Often our most sensitive documents, full browsing history, and other confidential information live on our computers. We’ve become increasingly mobile too, storing this sensitive data on easily-misplaced laptops. VeraCrypt—an open-source encryption tool for Linux, Mac, and Windows—offers a solution. 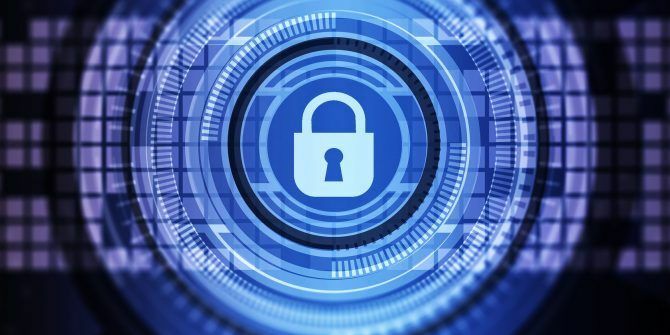 VeraCrypt can encrypt partitions and storage drives in real-time 5 Effective Tools to Encrypt Your Secret Files 5 Effective Tools to Encrypt Your Secret Files We need to pay closer attention than ever before towards encryption tools and anything designed to protect our privacy. With the right tools, keeping our data safe is easy. Read More , as well as create virtual encrypted disks. The Windows edition even allows for full system encryption. One of the benefits of open-source software is that anyone can contribute, even forking the project if they wish Open Source Software and Forking: The Good, The Great and The Ugly Open Source Software and Forking: The Good, The Great and The Ugly Sometimes, the end-user benefits greatly from forks. Sometimes, the fork is done under a shroud of anger, hatred and animosity. Let's look at some examples. Read More . VeraCrypt is a fork of TrueCrypt, which was discontinued in 2014. While the reasons behind TrueCrypt’s demise aren’t clear, it coincided with the publication of a security audit revealing some issues. VeraCrypt addressed many of these in their first release. As privacy concerns have become more talked about over the past few years, experts and advocates have begun to emerge. Although the NSA whistleblower Edward Snowden is the most infamous, there are plenty of others campaigning for your right to privacy. As the world pivoted towards digital writing and communication, so PEN’s campaigns followed. 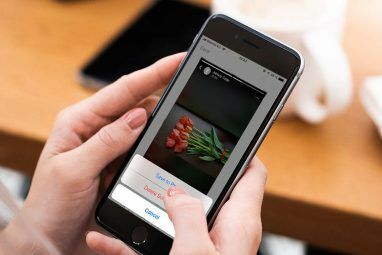 Increasingly this has meant advocating against authoritarian regimes which attempt to block secure or encrypted tools which many rely upon to communicate freely. Most recently, the organization was outspoken against the Russian government and its ban on the encrypted messaging app Telegram. Encryption is one of the best ways to keep your private data private. However, there is a balance to be found between security and convenience. 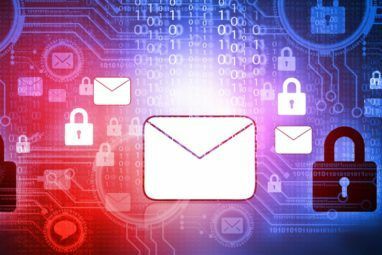 Many of the products we intuitively reach for (Gmail) are incredibly easy to use when compared to the secure equivalent (PGP). When it comes to email, ProtonMail falls into that middle ground. There is a wide range of secure messaging apps with mainstream options: WhatsApp, Telegram, Wire, and Signal all use E2EE as standard. The service you choose will likely be dictated by whichever your contacts are using. If you do take the plunge into a more secure digital life, then it’s probably worth overhauling your entire online security. For more in-depth steps on how to get started, check out our guide to improving your online security and privacy The Complete Guide to Improving Your Online Security and Defending Your Privacy The Complete Guide to Improving Your Online Security and Defending Your Privacy Everyone wants your data, reputable companies and criminals alike. If you want to build up your defenses and protect yourself online, let us guide you through how to improve your security and safeguard your privacy. Read More . Explore more about: Encryption, Online Privacy, VeraCrypt, WhatsApp. cheaper. I'm in my second year without one problem! You're moving or sending a file from Linux to Android, on Linux use "7z" to encrypt and on Android use 7zip to decrypt. Or encrypt on Android and decrypt on Linux. While encrypting on Linux you can set the amount of compression at the same time. Nice suggestion of using 7z for file encryption! "Information we record may include your IP address, your browser type, browser language, date and time of the action, account usernames, sender and recipient email addresses, file names of attachments, subjects of emails, URLs in the bodies of unencrypted email, and any other information that we deem necessary to record for the purposes of maintaining the system and preventing abuse."